Watch! Bukingan na! 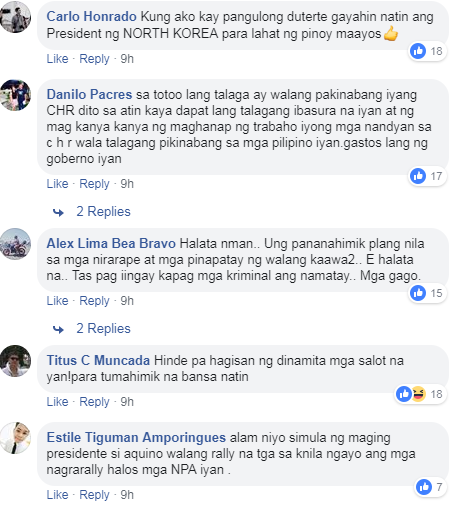 Ipinakita ng AFP ang mga Ebidensya sa Koneksyon ng Human Rights Groups atNPA! Contrary to the statement made by the Secretary General of the human rights group Karapatan, that they have no relation with the CPPNPA, the Deputy Chief of Staff for Civil Military Operations or J7 Brig. 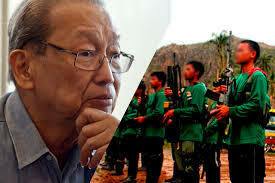 Gen. Antonio Parlade Jr. presented evidences to prove that they are telling the truth. 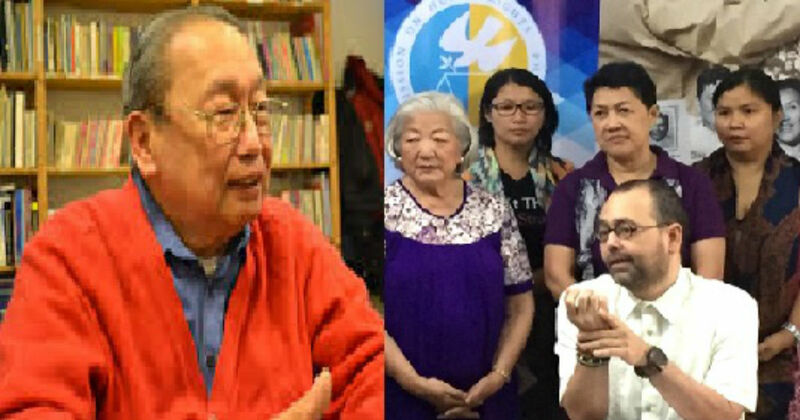 According to the UNTV report, Parlade presented the documents signed by CPP Founder Chairman Jose Maria Sison, in connection with the 5th International Assembly held in Hong Kong, where Karapatan attended. Parlade added that the government is not fabricating stories, but the above-mentioned groups are doing so. “And by the way, hindi si AFP, hindi ako, hindi ang Gobyerno ang nag- red tag sa kanila. Tingnan niyo ‘yung website ng Philippine Revolution Web Central. Tingnan niyo ‘yung website ng ILPS. Tingnan niyo rin ‘yug website ng NDF International. Lahat ‘yan. Makikita niyo dun itong mga pangalan ng Karapatan, ng Ibon. Nandyan ‘yung ACT, ‘yung Gabriella, itong mga Makabayan blocs, nandyan lahat. 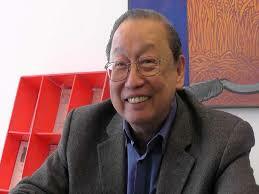 At signed mismo ni Jose Maria Sison,” according to Parlade. Meanwhile, the Armed Forces of the Philippines (AFP) has also released video and pictures as evidences, where arm3d youth students in Salugpungan schools run by non-government organizations. Parlade also presented books printed by Ibon Foundations for the Community Learning Centers. These books contain radical informations, where one of the Editorial Board members is the wife of the secretary of the Southern Mindanao Regional Committee of the NPA@. The content of the book is all about the anger and revenge to the Government. “Natatakot sila na ‘yung kanilang funding, maaaring matapos na. We found out na meron palang isa sa UN Declaration, Resolution 47,133. Ito ‘yung tinatawag nilang Declaration on the Protection from Enforced Disapperances. 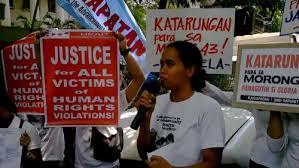 Malinaw po doon sa Article 8, Paragraph 2 nitong Declaration na ito, ang isang kriminal o isang activist ay hindi puwedeng ibalik sa isang bansa kung saan siya nanggaling if there is danger of persecution,” said Parlade. According to the Deputy Chief, their collective evidences will be presented to the European Union to stop the more than a billion financial support granted to such organizations. Karapatan also wants to show that a lot of human rights vi0lation is happening now in the country, so Joma Sison will not be sent back to the Philippines. Parlade challenges Karapatan to a debate in National Television order the public to know who really is telling the truth. Meanwhile, the Karapatan group strongly denied these allegations against them and said Parlade should stop associating them with the CPPNPA. Trending Balita: Watch! Bukingan na! 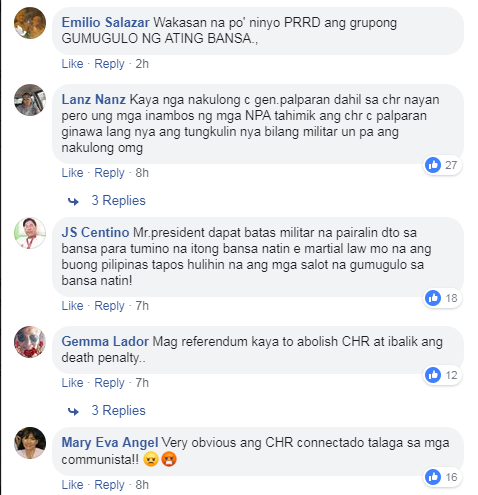 Ipinakita ng AFP ang mga Ebidensya sa Koneksyon ng Human Rights Groups atNPA!